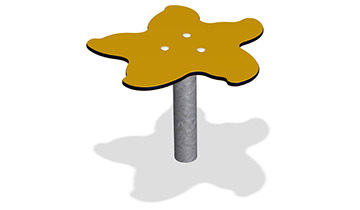 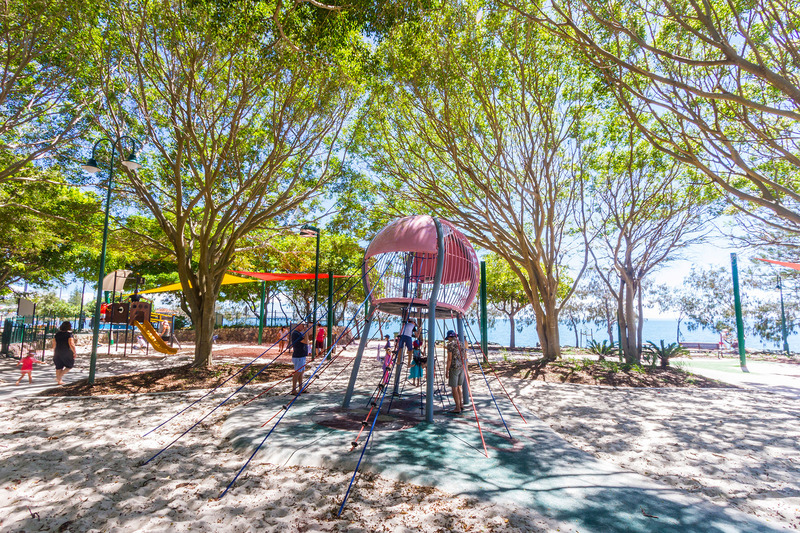 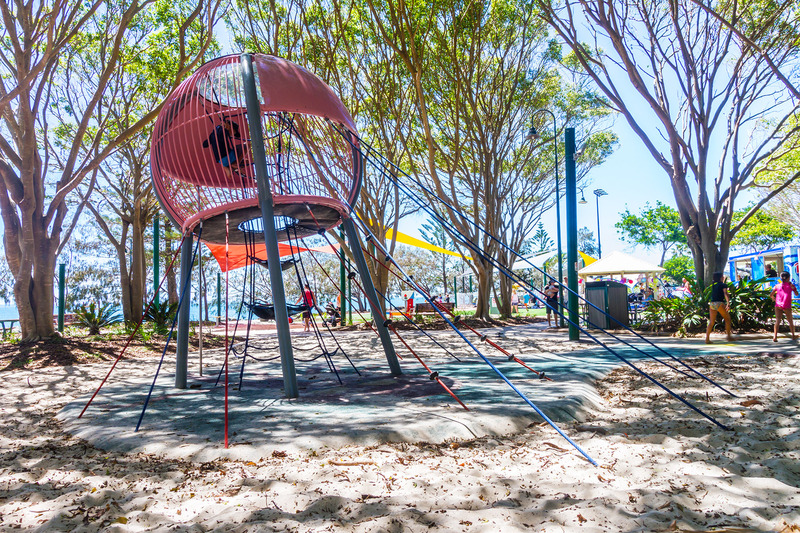 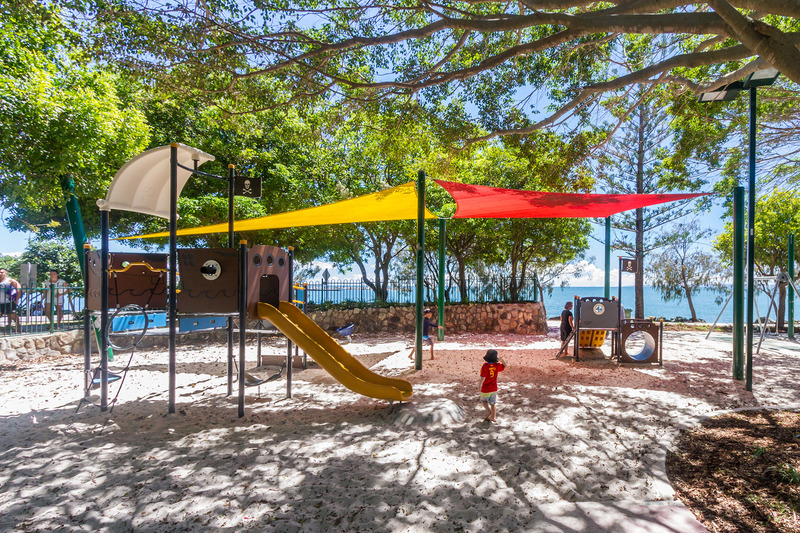 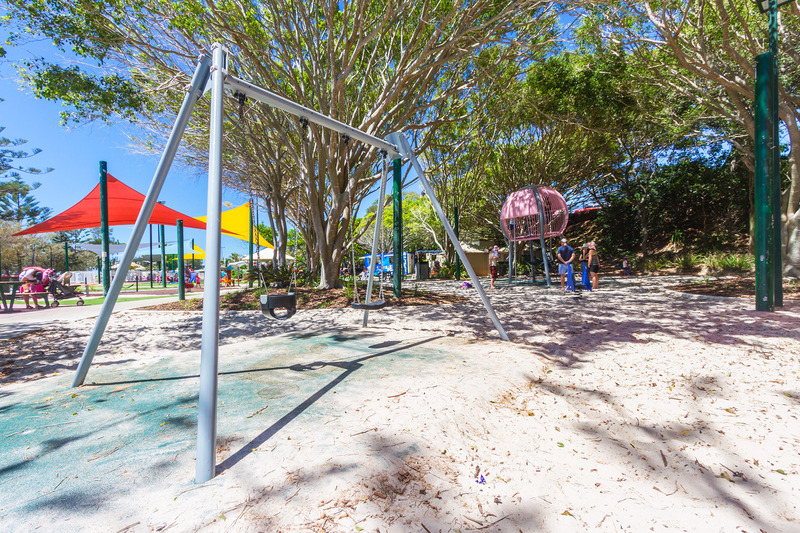 Settlement Cove’s new destination play space is the perfect addition to Redcliffe’s popular foreshore precinct, featuring custom designed play equipment suitable for children of all ages and abilities. 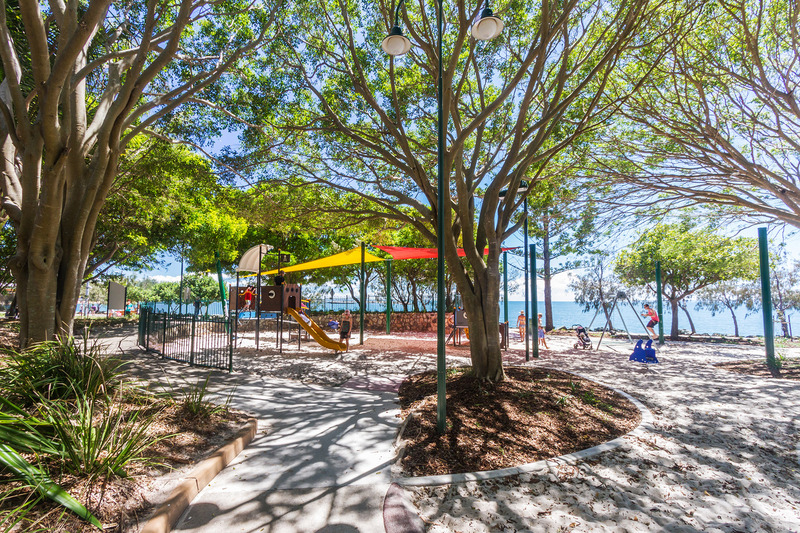 Inspired by the ocean, the architecturally stunning, custom Corcord Jelly Fish flawlessly complements the existing landscape, sitting proudly among the peninsula’s famous weeping figs and sandy shoreline. 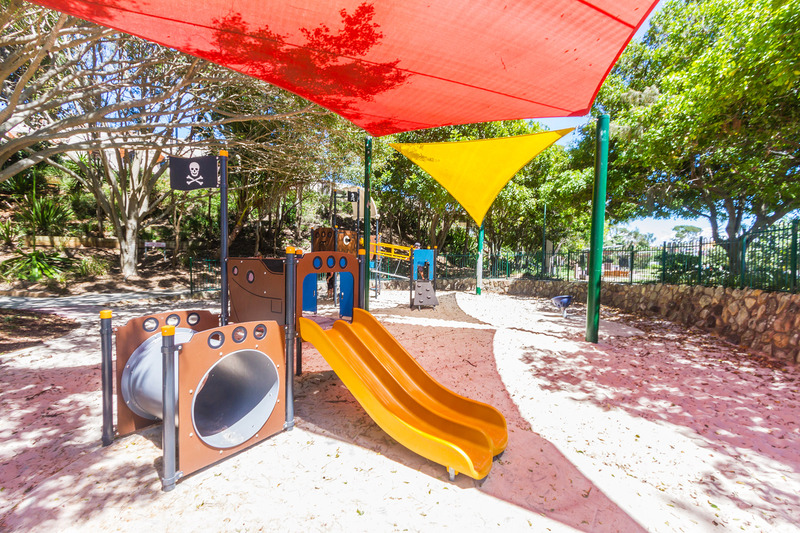 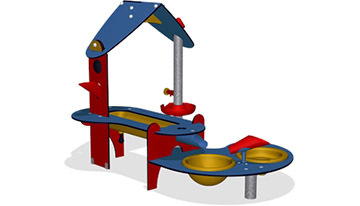 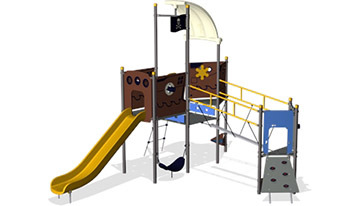 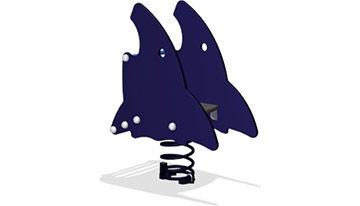 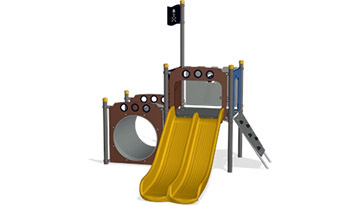 Other features of the park include a pirate ship, themed slide and crawl tunnel, Shark Springer and double swing set, providing endless play opportunities for users of all ages. 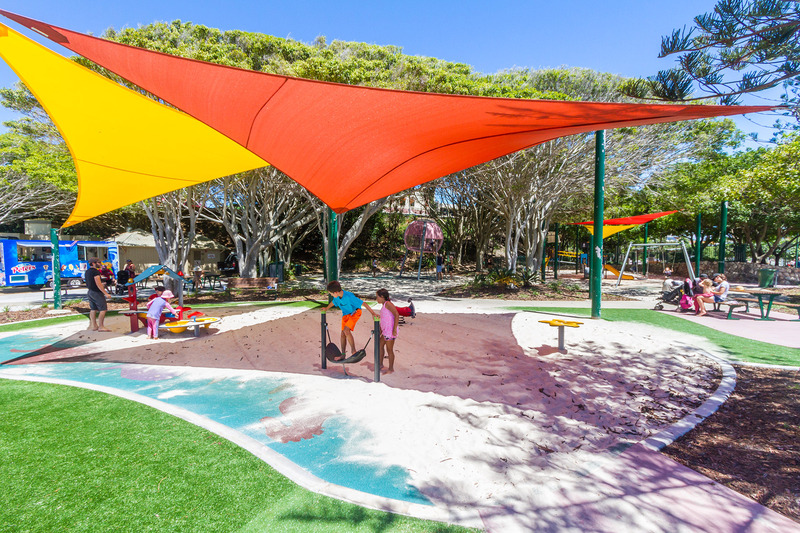 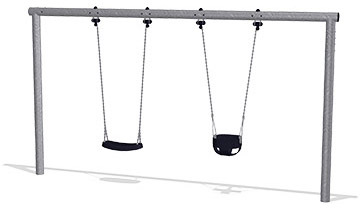 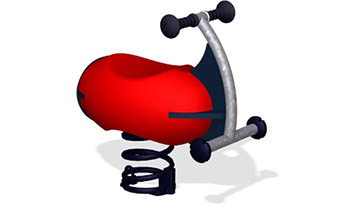 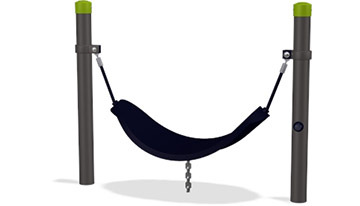 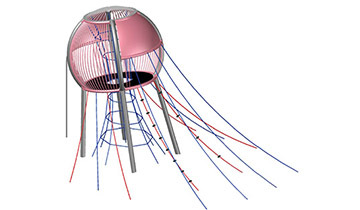 A dedicated toddler area was designed to enhance valuable sensory and development skills through the use of water, swinging and spinning activities. 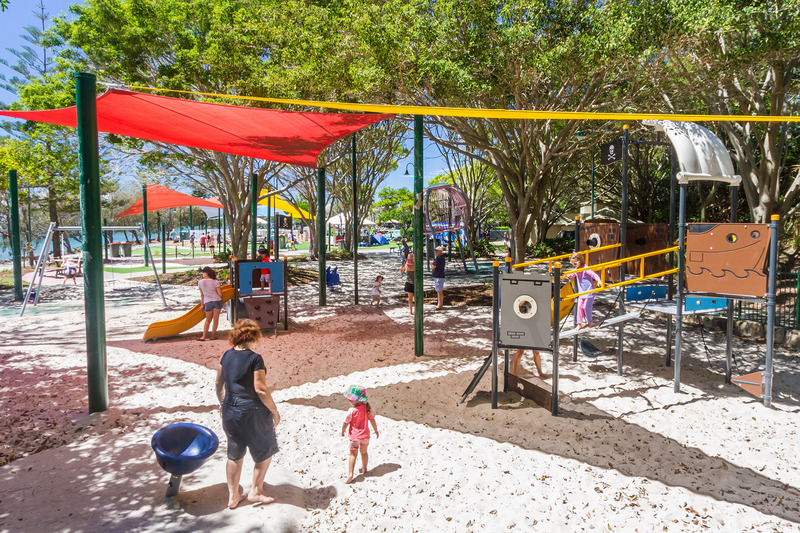 Providing young users the opportunity to experiment and explore, the free flowing space encourages parental interaction – strengthening families and creating memories to last a lifetime.